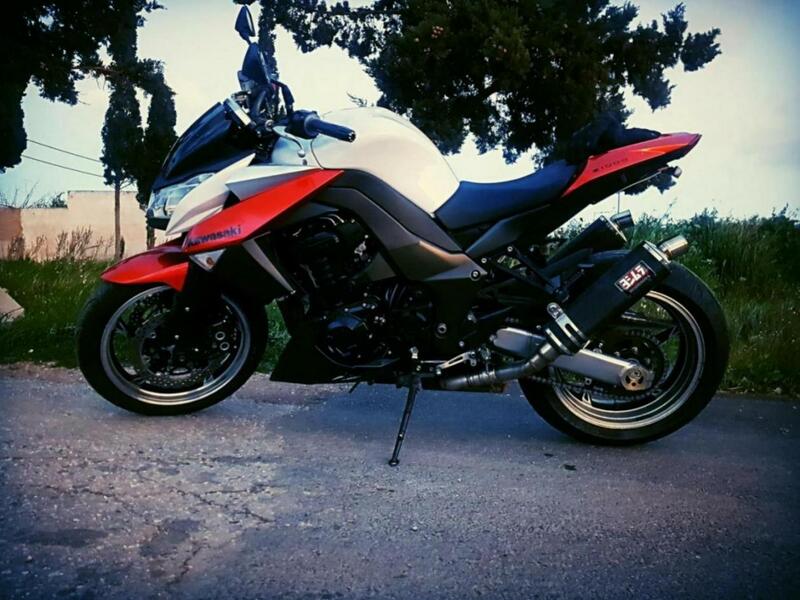 Kawasaki Z1000 Forum: Kawasaki Z1000 Motorcycle Forums > kawasaki Z1000 forums > Z1000 Performance > Exhaust width? Hello guys I just got my bike , and I'm looking to change the exhaust. Some say z1000 uses 51mm dual exhausts but the yoshimura I had on were 57mm but they were for the gen 2 z1000. I think the gen 3 also uses 57mm exhausts. Does anyone know? 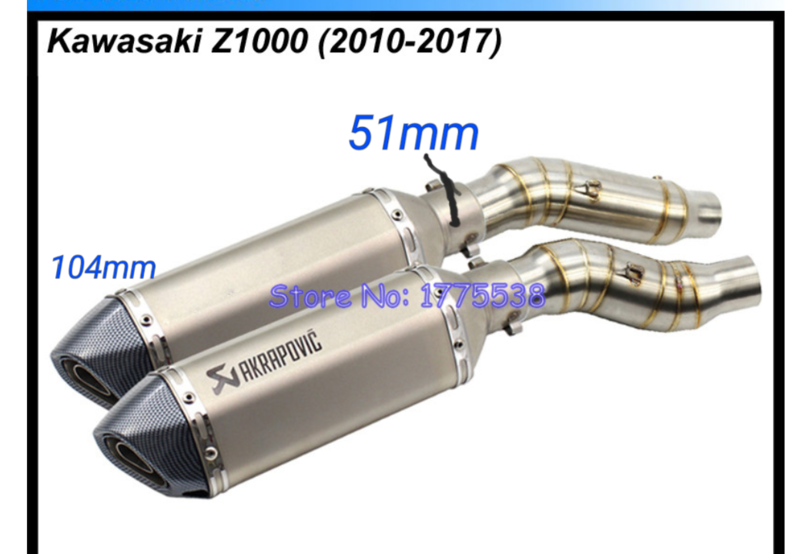 does anyone has akrapovic exhaust on z1000 , I need someone to measure the exhaust cause I want to buy one. hello my friend and thank you for your answer. 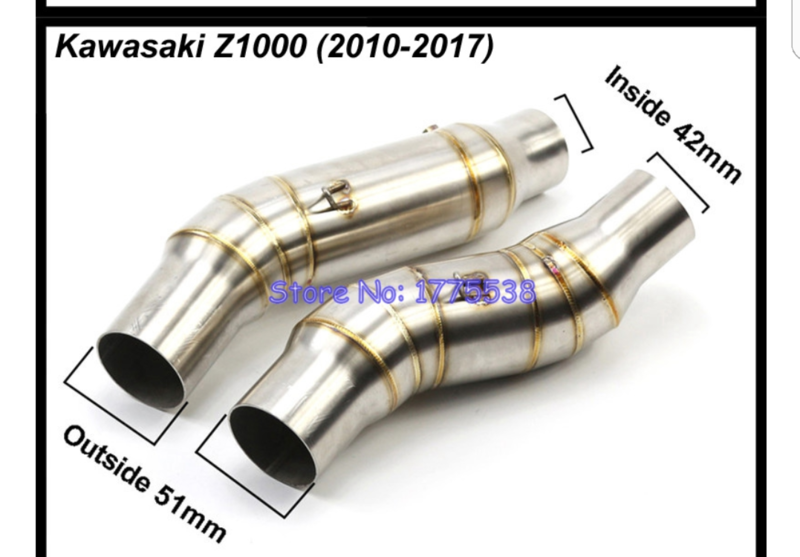 Check the photos below.i think these will fit my stock pipes .what do you think. Based on the sizes, they should fit. But the installation bracket should get in front of the bolts on your bike. That I can't tell by the picture. These must be knock-off otherwise you can get full Acrapovic system and they sure fit. i have muffler m4 with stock header now. i plan to change akrapovic header soon will it work someone have the same setup?